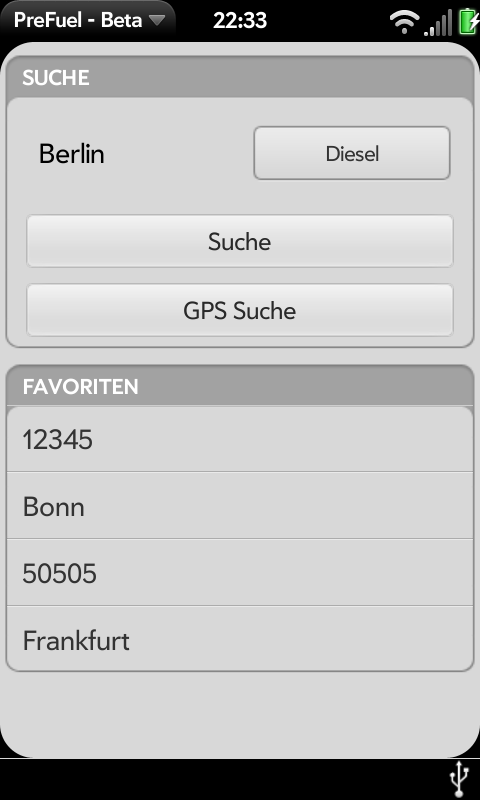 PreFuel is an app, that searches for actual fuelprices for any place in Germany and any type of fuel avalible in Germany. It shows all prices, that have been up-to-date within the last 24 hours. The app is in German, because it's only usable in Germany. - Hotfix by Patty21 to change the the used backend after I stopped running my own backend.